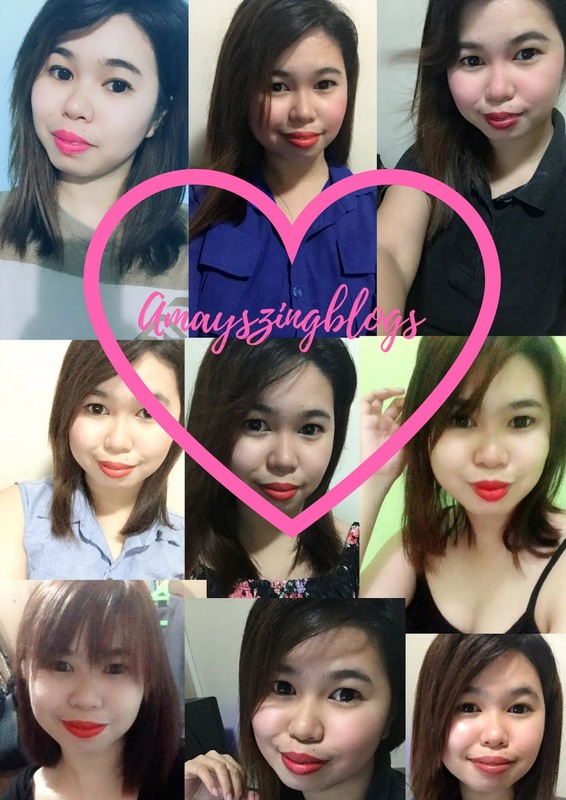 Hi Fellow bloggies ! ( Handsome bloggies please excuse. this topic is all about for girls.) 😄😄 Have you tried to reveal your make up kit? What are they? I just share mine. I'll tell you my story! Before I'm the girl who not wearing make up. Sometimes I just comb my hair and put baby powder and then that's it. and then one time I work in the corporate company and they need require to put a make up and wearing corporate attire. It's kind an awkward because I don't know how to put a make up on my face. hindi ako kilay is life noon mga teh! So I need to watch some basic make up tutorial on YouTube then I try to do it on my own until the day I learned some basic make up tutorials. Then I'm starting to buy a make up at Watson stores. What's inside in my make up kit? I'll show you! 1. The first is Baby Powder and Cologne. I love lipsticks. kung sila kilay is life ako lipstick is life! I love wearing lipstick and my favorite brand lipstick is Ever bilenna because it's very affordable and non toxic brand. I use a lot of brand lipsticks however it makes me dry lips and itching. Tips: guys don't buy the expensive always just try to look out first because sometimes the expensive one is not worth it at last! Save money first! 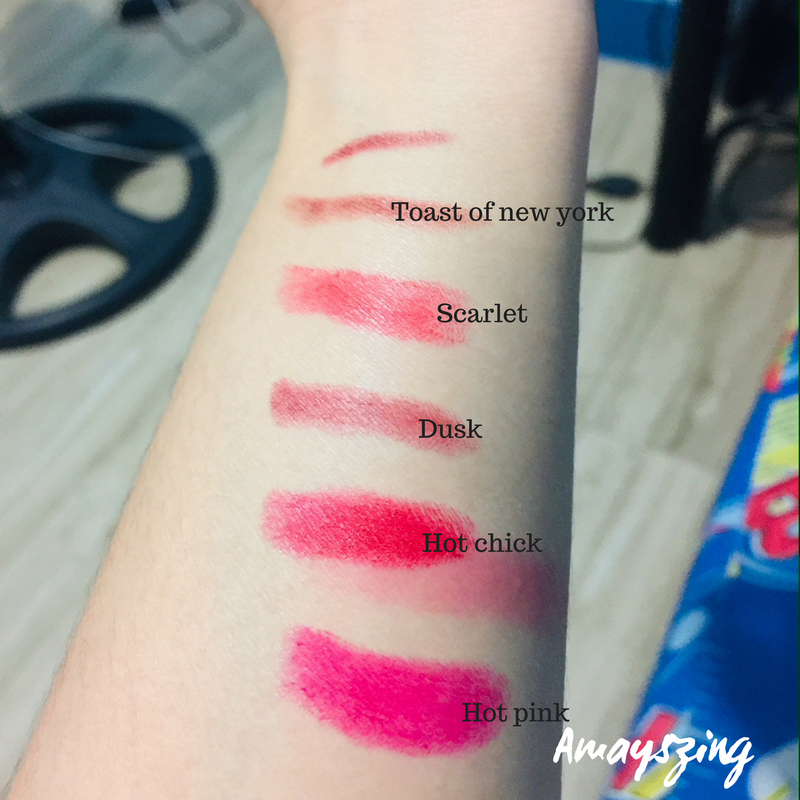 Let me show some shades of my ever bilena lipstick. 3. Cheek Stain, brow gel Eyeliner pen & Liquid Foundation. 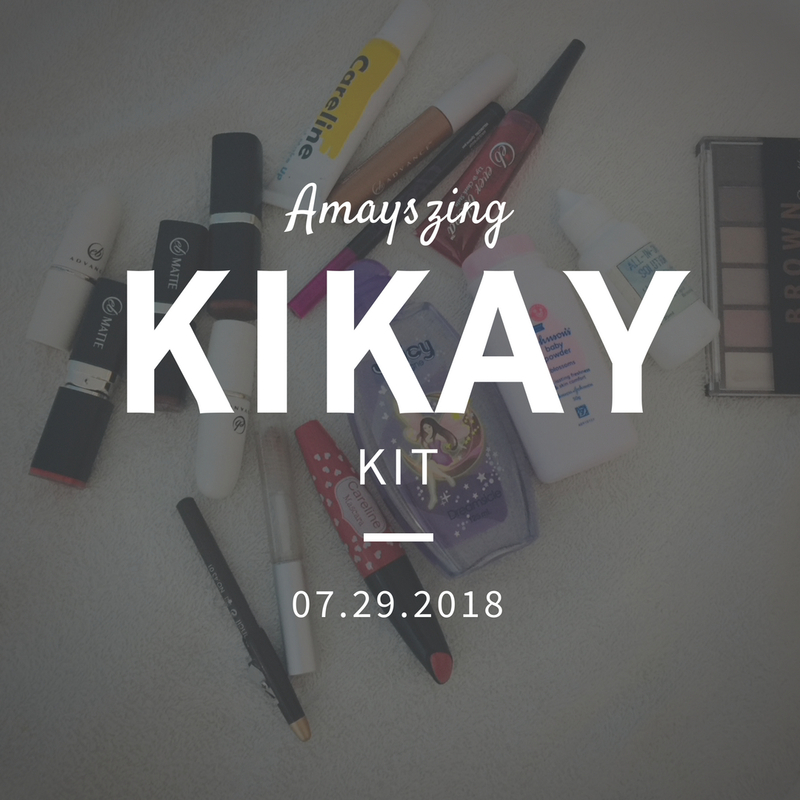 Another set of my inside Kikay kit. Okay for some people they confuse about the word of Kikay HAHAHAHHA! Kikay means "Girly" 😂😂 moving on I have 4 different liquid make ups .The foundation, brown gel, cheek stain and The eyeliner pen but mostly my everyday use are the cheek stain and the eyeliner pen. My liquid foundation and my brown gel is for the occasional only. For my work purposes I always use cheek stain and the eyeliner pen. 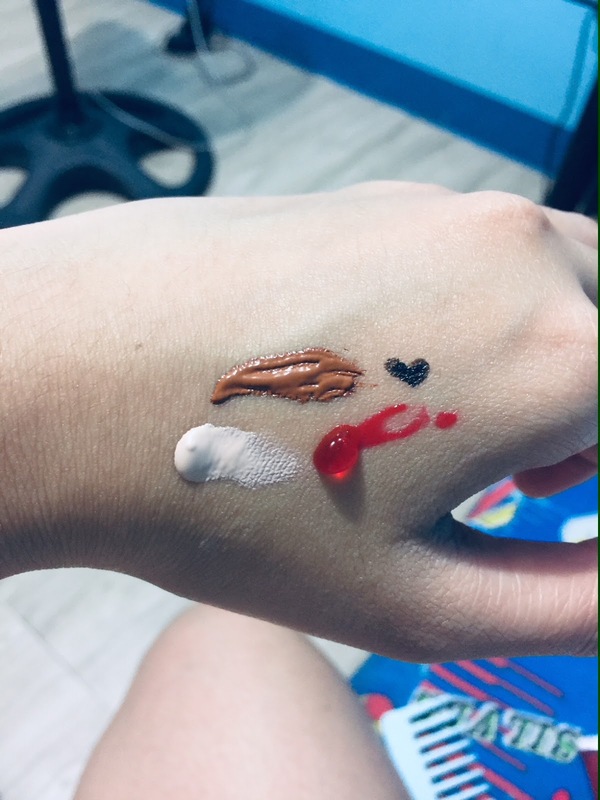 Tips: Before buying liquid make up brand you must check it first apply some a little bit portion and then spread it on your hand I'll give you an example. "Lagi ku to ginagawa pag bumibili ako ng make up I have skin allergy kase." Put some a little bit portion and make sure that you don't feel any reaction before you buy to avoid skin allergy. 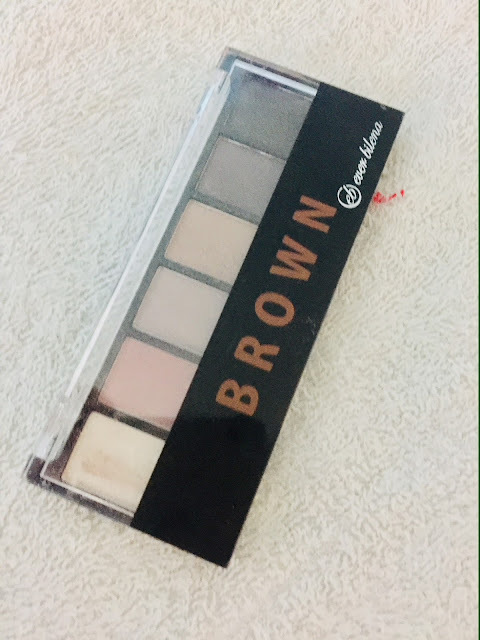 Sometimes I put eye shadow but mostly I use this thing when I'm put nose line because I'm not good to put heavy make up. I just make simple make up only. pero inaaral kong mag lagay ng eye shadow talaga eh. This is must a thing is always in my bag no matter what because I wear contact lenses. for many years because I have a poor eye sight I'm no longer wear eye glasses because it makes me hassle. This is so important at all. to those people as same in my situation you know what I it feels like right? I love wearing make up simple make up only. because it makes me look presentable. I wear hard make up sometimes for occasion and events only. Okay, do not get me wrong: I truthfully admit that sometimes the only reason girls wear make up to impress guys and sometimes even other girls. However, most of the time when I have makeup on, I feel good. I don’t feel ugly without it, but it gives me that extra confident boost that you need once in a while. Plus wearing make up can make you feel comfortable. just simple make up only. I know it's kind an awkward specially if you are beginner. but do it everyday until you will like it. I know it's not easy at all but there's a process for everything do it step by step. nothings loss when you try it. I just show you some pictures of mine. Here's my things inside my Kikay kit! 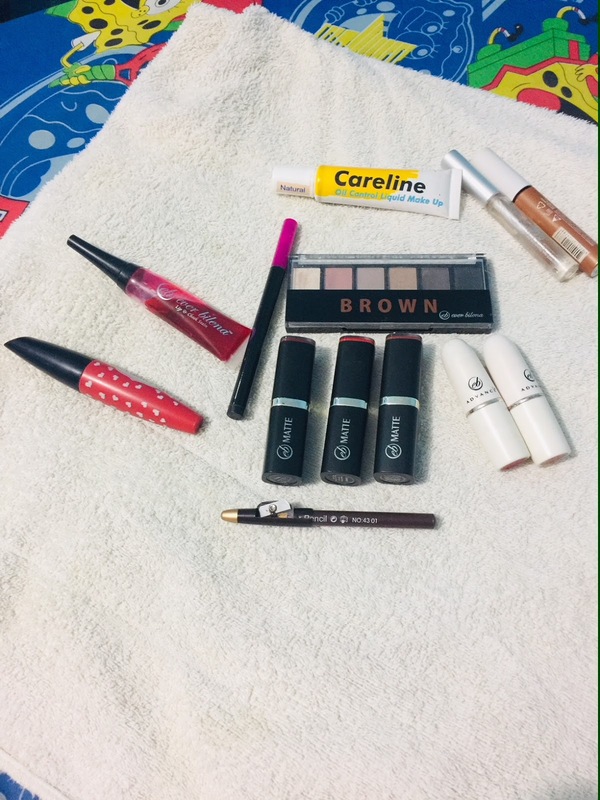 Hello Handsome and Beautiful Bloggies what's inside in your Bag kit? Share us! Oh my goodness, I wish I used this few items in my makeup bag... I'm feeling like a drag queen with the amount i use, lol. I love seeing what people have in their kits, as it really shows the things people do love to use! I am loving your eyeshadow palette! Wow! My make up kit needs some serious work. Yours is so much better. I just have powder foundation, one lipstick and lipliner, one eyeliner, one mascara, and a tiny 3 color eyeshadow. Love the colours in the eyeshadow palette... 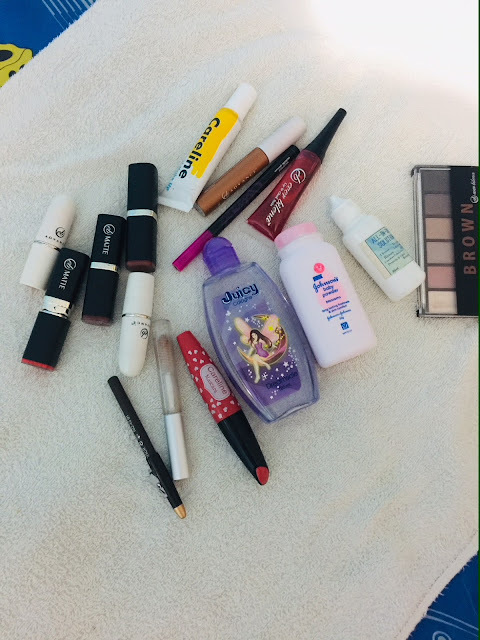 I seriously need to get rid of lots of items out of my makeup bag - there's just so much in it! these are all great colors for makeup. i really like that you mention you should put some on an area to make sure you don't get any reactions. I love seeing what other people store in their makeup kits. I have to admit that other than chapstick I don'y have much in mine. Really helpful for anyone wanting ideas for changing up their current makeup bag! I love that eye shadow palette. I don’t wear a lot of makeup but I always try to have eye shadow and lip gloss. I am also a huge user of baby powder. 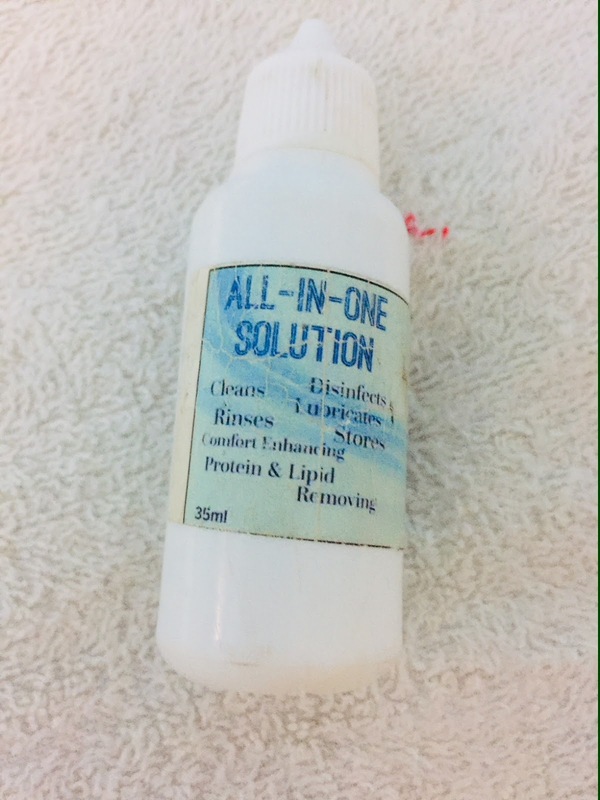 Mostly for my hair but it is a life saver for sticky days. 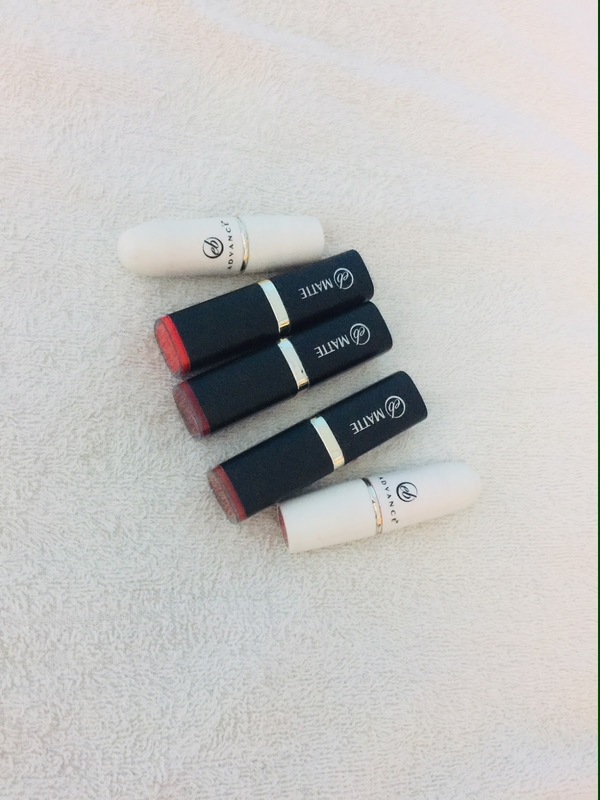 Love your lipstick colors! Thank you for sharing what is in your make up kit. I love seeing the make up other girls use (if they use it). I really like your lipstick colors. I have a lot of lip colors in my make up kit, eye shadow palettes, blush, foundation, mascara, and eyeliner. I think I need to add some of these to my kit. My make up tends to be bland and needs an uplift. it's always fun to see what others keep in the kits. At this point in my life, I'm pretty minimalist, but there have definitely been times when it seems like I've had the whole kitchen sink in there! This was such a fun read! Baby cologne ! First time hearing about this but I like the idea of it mixed with baby powder. In the summer, I am a BB cream with mega spf kinda girl, but come fall and winter - ALL my clown makeup comes out!! I don't wear much makeup at all. It's basically eye shadow, mascara, and eye liner. 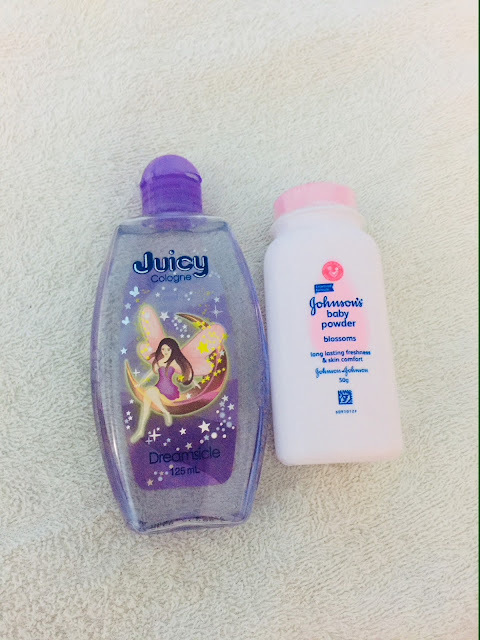 I do always keep powder with me because it comes in handy often, and hand sanitizer because my boys are always getting into something! Wow,you really have a lot of stuffs inside your kit. Me, I just have powder for my kids, lip balm, comb, pony tail and her clip, wet wipes and hand sanitizer. As a matter of fact, with a newborn in the house baby lotion is all the fuzz. aha! this is how you always look so stunning and put together! I also carry baby powder with me,I find the smell so comforting! I always have a few lipsticks.. might be a little obsessed! Loved seeing your kit! It’s so different from mine! These are always fun to see. Mine is boring. Eyeliner and eyeshadow, LOL! I think baby powder has more used for women then babies! I love the colors of the lipstick! I don't even have a makeup bag, but sort through makeup drawers haha! Problems of a beauty blogger who has way too much cosmetics! So many great things. I used to have a makeup bag but my teenager swiped it. Now I have a makeup counter. I've been looking for more makeup and lipstick ideas. I struggle with pulling off lipstick but I think I just need to find the "right shade". 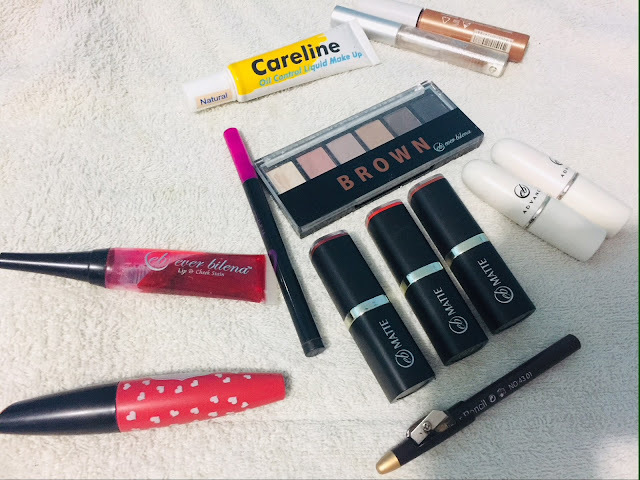 I have scaled down the amount of products I use when I hit my mid life line. I'd be willing to try some of these instead of the ones I use. Your lip shades are really beautiful. LOVE a matte lip, rosewater or lavender mist, and some spare earrings! These are all great colors for makeup. Eyeliner and eyeshadow! I love the colours of your lipsticks. I love a good matte lipstick. 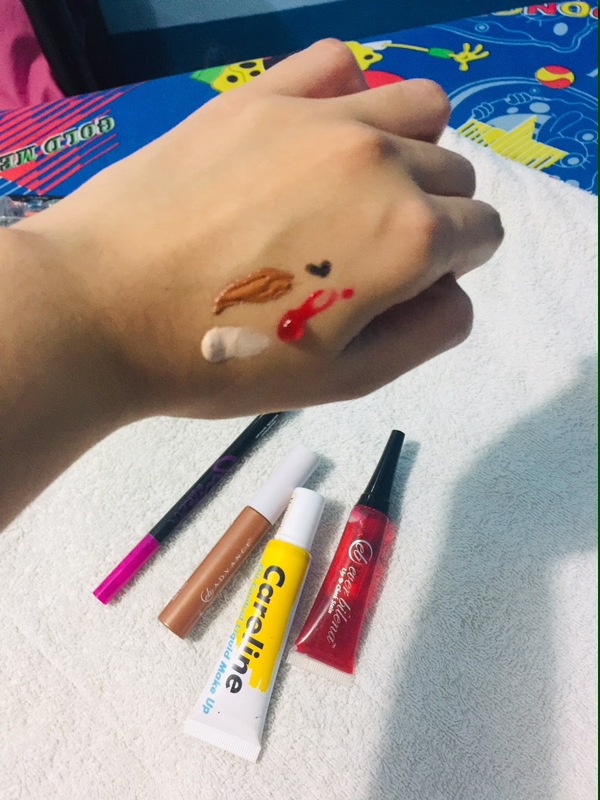 I never tried cheek stain but I know its similar to lip stain I would be interested in trying both.